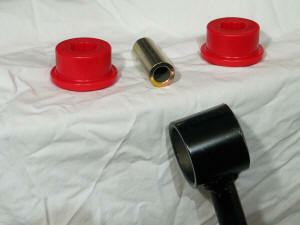 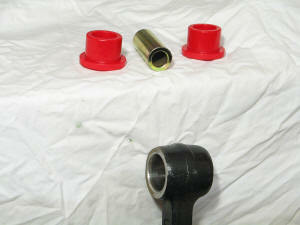 As part of my engine replacement, I decided to replace my suspension bushings with High & Tight Prothane bushings. 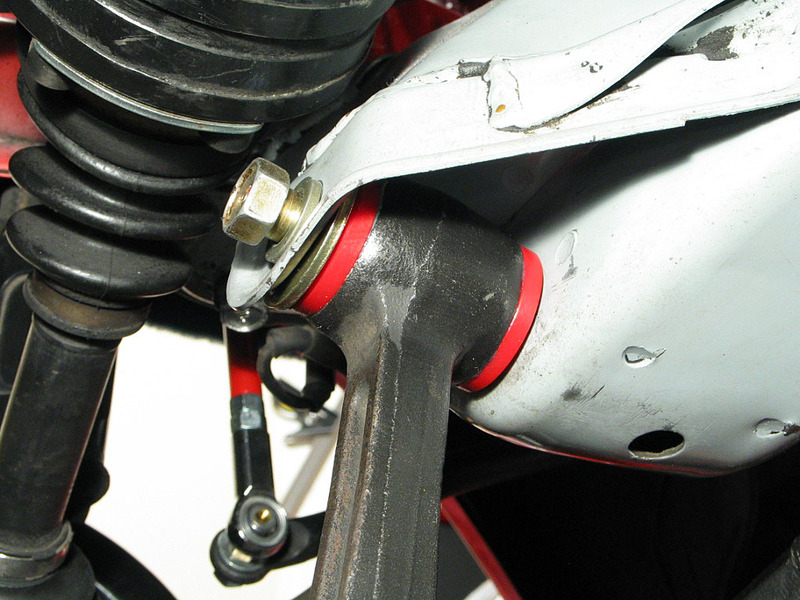 The rear crossmember and suspension arms had already been removed, so what follows here is a description of the installation for the rear components. 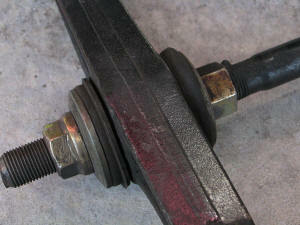 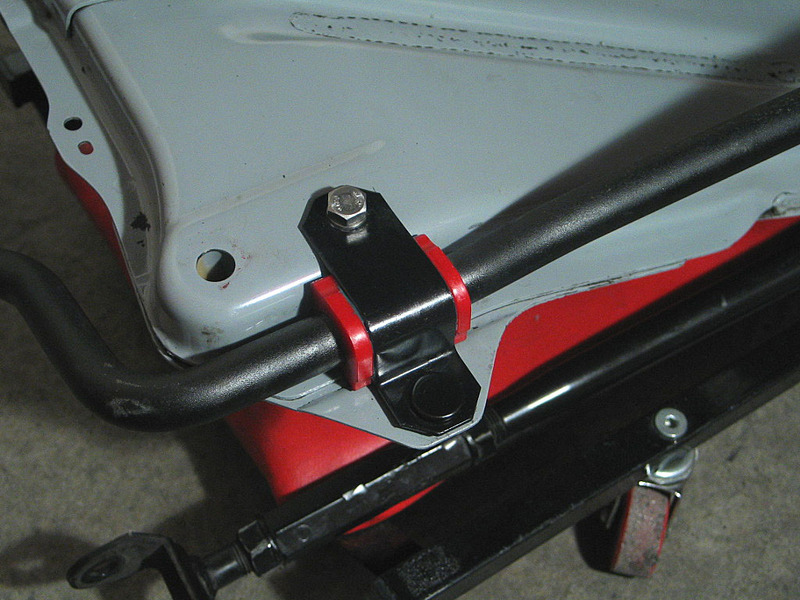 Remove the upper 12mm bolts and lower 12mm nuts, and the bracket can be removed. 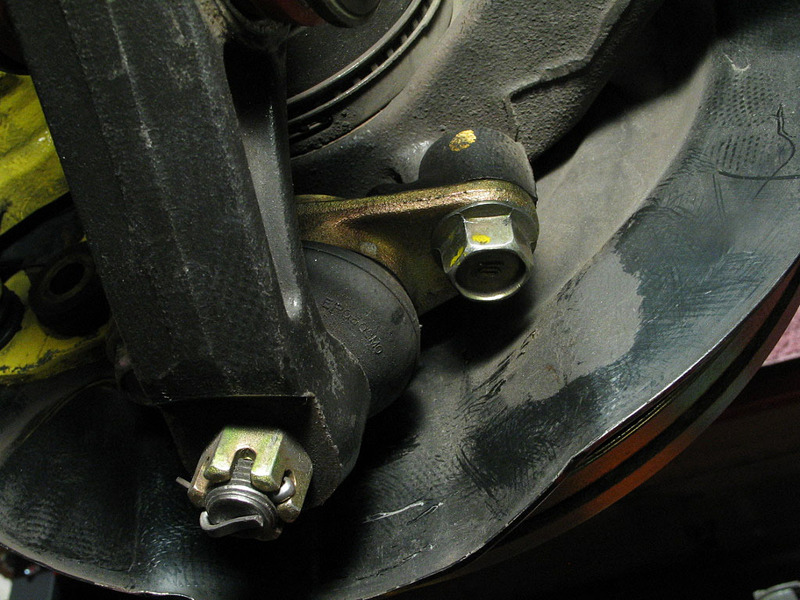 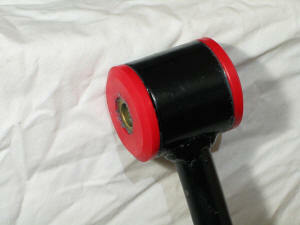 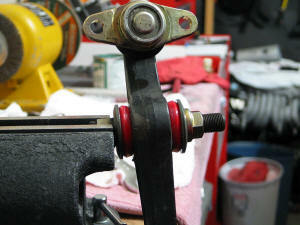 The bushing is split, so you can easily pull it off the sway bar. I took a Scotchbrite pad and cleaned off the sway bar in the area where the new bushing would go, to provide a clean and smooth surface. 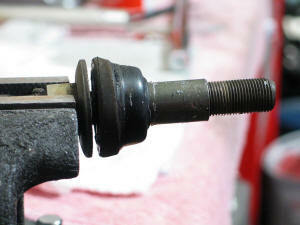 Torque the mounting bolts down, then replace the other one. 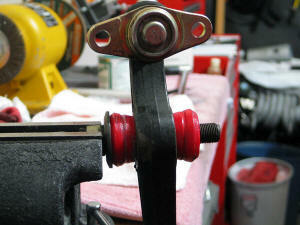 Installing the High & Tight Prothane bushings was reasonably straightforward, thanks to Brian Peterman's site. 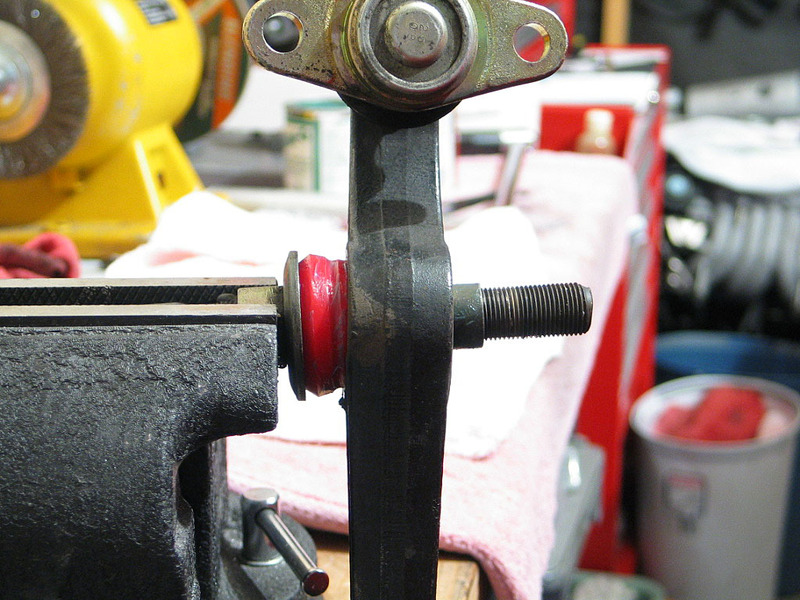 The High & Tight bushings package does NOT include instructions. Brian describes his method for removing the bushings from the strut rod and lower arm, but burning the bushings out was not an option for me. I had a local machine shop do it for me. 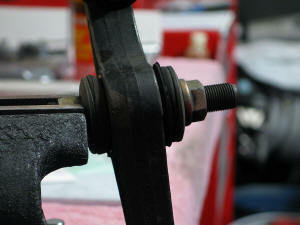 Don't crank the nut down tight, as it will be easier to install if there is some give to the joint. 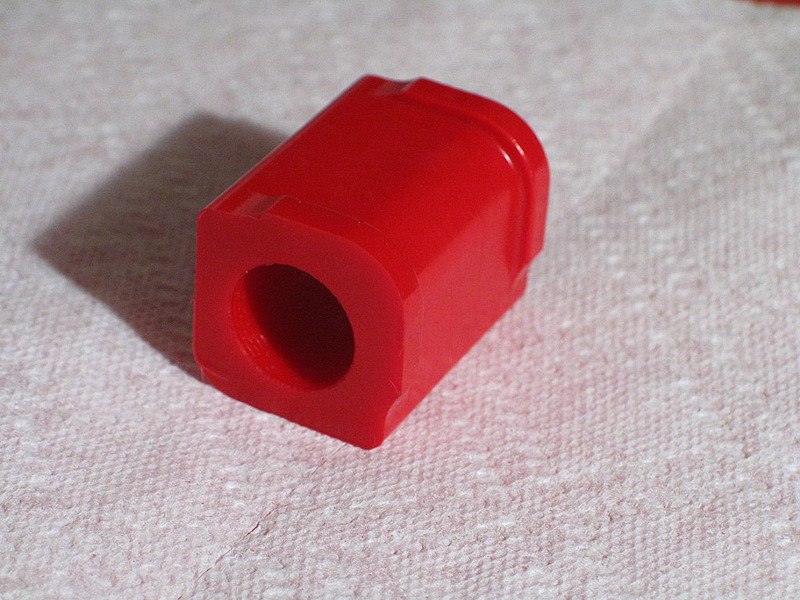 We're now ready to install the assembly. I found that following Brian's steps didn't work for me. I think it might have something to do with the spring setup in the car. Quite a few owners install lowering springs, which are shorter than my Eibach Prokit springs. With the Prokits, the hub has spring tension on it even when fully extended, which makes it harder to install the lower arm, as you are fighting the spring tension. 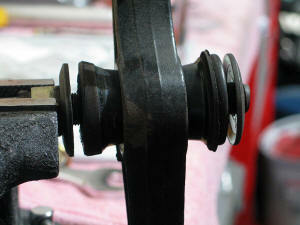 So I changed the sequence. First, I installed the lower arm into the rear crossmember, installing the new washer facing the front of the car. 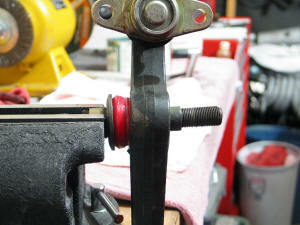 I had to use a rubber mallet to tap the arm and the washer in at the same time, as the fit was very tight. I then used a drift pin to align them with the hole in the crossmember. 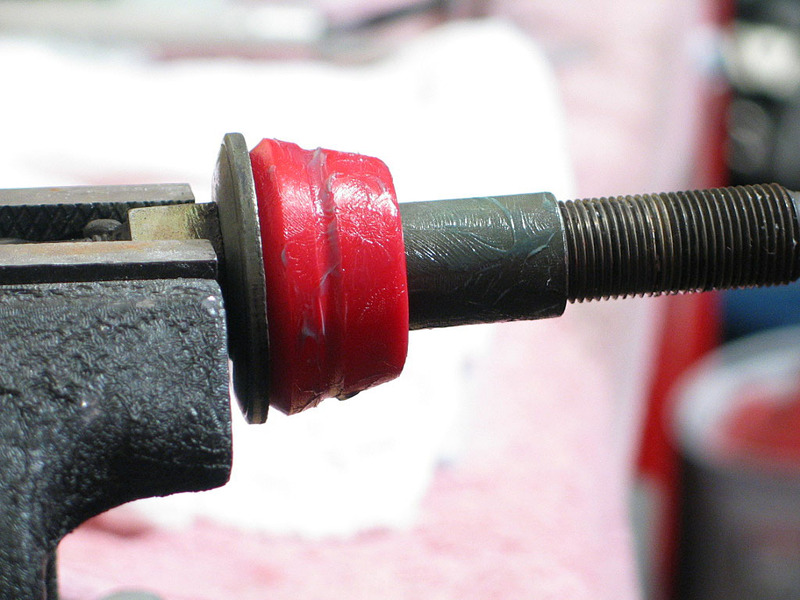 I inserted the 19mm bolt and just threaded it in a few turns. This was the toughest part, as the arm has spring tension on it. I was just barely able to get the 17mm bolt started in from one end. 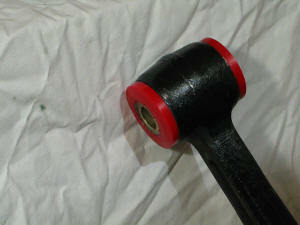 Then I was able to tap on the rod with a rubber mallet while forcing the bolt through at the same time. 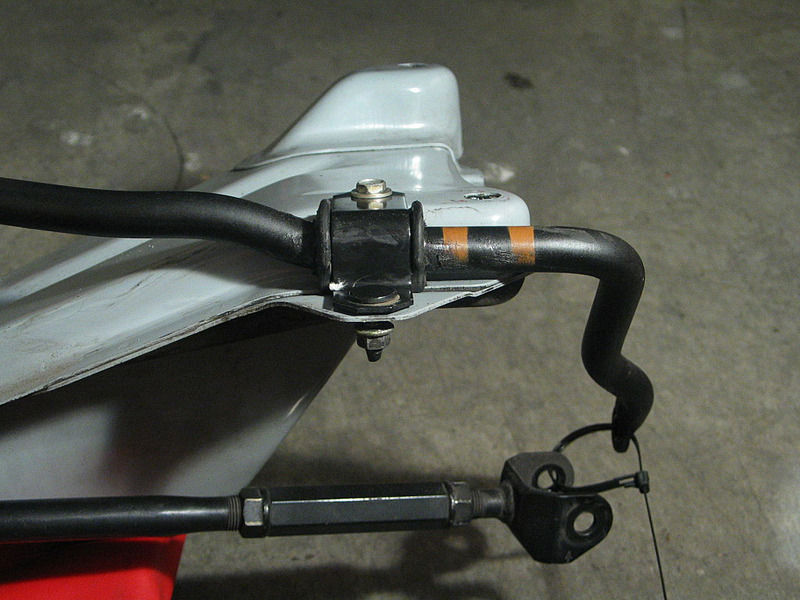 More hands would have been helpful here. The two bolts can now be torqued to OEM spec. 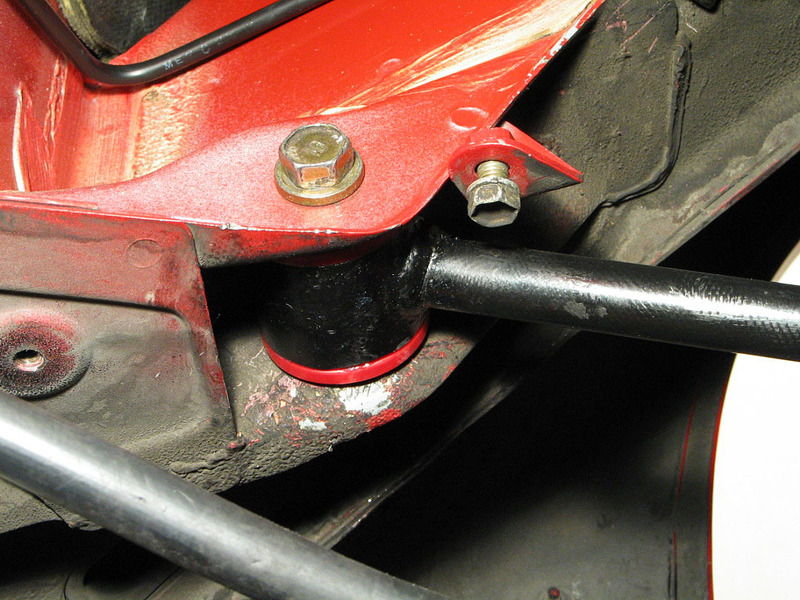 However, the suspension arm, strut rod, and lower arm all need to be tightened with the weight of the car on the wheels, after the suspension has settled.